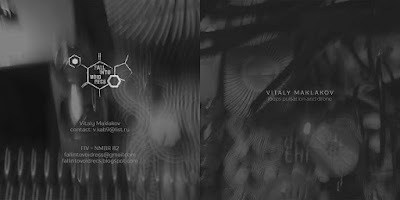 FIV - NMBR 81: Vitaly Maklakov "Loops, Pulsation and Drone"
Vitaly Maklakov is the siberian mastermind behind several projects (obozdur and kromeshna to name two) and is simultaneously running three amazing labels (OSTROGA, torga-amun, heart shaped box prod). for this release he exclusively recorded this track and it will bring you to your knees: 21mins of layered, pulsating and crushing ritual noise! don't pass on it, his material is amazing (you might know it from the KROMESHNA tape i did a few years ago). like all other 3'' cd-r releases on this label, it is limited to only 10 copies. if you want a copy, i urge you to be fast and shoot me a mail at fallintovoidrecs@gmail.com to get it! 2€ + shipping and this beauty is yours!